The medical information on this site is provided as an information resource only; and is not to be used or relied on for any diagnostic or treatment purposes. This information is not intended to be patient education, does not create any patient-physician relationship, and should not be used as a substitute for professional diagnosis and treatment. Please consult your health care provider for an appointment, before making any healthcare decisions or for guidance about a specific medical condition. The Brí Foundation expressly disclaims responsibility, and shall have no liability, for any damages, loss, injury, or liability whatsoever suffered as a result of your reliance on the information contained in this site. 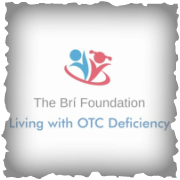 The Brí Foundation does not endorse specifically any test, treatment, or procedure mentioned on the site. By visiting this site, you agree to the foregoing terms and conditions, which may from time to time, be changed or supplemented by The Brí Foundation. If you do not agree to the foregoing terms and conditions, you should not enter this site.